Last week, Facebook (FB) announced a policy change that, while seemingly counter-productive, could have far-reaching benefits for the social media giant. Effective immediately, a Facebook account is no longer required to use the company’s Messenger app. At the FB annual shareholder meeting, CEO Mark Zuckerberg claimed that the number of current Messenger users has topped 700 million and is still growing strong. Allowing use of Messenger by people who don’t already have a Facebook account might initially seem irrelevant, or even questionable. Isn’t the goal to get as many people as possible to create FB accounts and use the company’s services? Indeed, more people using Facebook means more people to whom ads can be served. However, Zuckerberg has repeatedly demonstrated an uncanny intuition with regard to future tech developments, and an ability to recognize opportunities for expansion and advancement, and this is no exception. Zuckerberg is capitalizing on the hundreds of millions of FB users worldwide, an increasing number of whom access the site via mobile device only. Last year, Facebook Messenger was severed from the main mobile app and became a standalone installation. Since that time, the number of Messenger users spiked from roughly 200 million to the current 700 million. 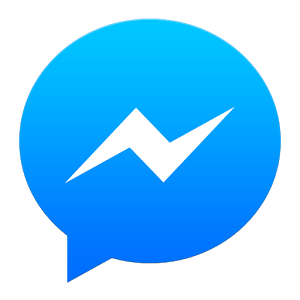 Facebook Messenger as an unchained chat app allows management to focus on capturing that portion of the public using alternative chat apps. The sheer number of people who do actually use Messenger is likely to increase now that non-Facebook friends can easily join in. With its recently-added VOIP video calling features, Facebook Messenger could become one of the premier communication tools for mobile users worldwide, taking market share from rivals such as Google Hangouts, Skype, and FaceTime, as well as a host of similar chat apps such as Line and Voxer. Will FB Make Any Money with Facebook Messenger? Forbes recently described in detail the challenges associated with monetizing chat apps, stating that, “Revenue from texting on chat apps…will make up just 1% of all the revenue generated by SMS and chat traffic in 2019.” Competing apps that have already integrated third-party support for games and other software are struggling to generate profit and are actively seeking alternative revenue streams. The big question is not whether FB will be able grow the Messenger user base, but rather if it’s possible for the company to monetize the app. Zuckerberg has initiated steps to open the platform to third-party developers, which will ultimately allow various apps to run within the app, turning Facebook Messenger into something resembling popular Asian chat apps. If FB chooses to allow marketers to display ads in Messenger, users are likely to ditch the app and return to their alternative preferences. Facebook Messenger hasn’t yet grown into the largest chat app in the world, but the pace with which user signups has increased this year suggests that it won’t be long before FB holds the top spot as the world’s most popular communication app. Still, by examining the performance and experiences of competing apps that have already done what Zuckerberg is doing now, the chances of any real money coming from Facebook Messenger — or any real benefit trickling down to FB shareholders — is slim to none.